Upon his appointment to lead the Archdiocese of Milwaukee, Archbishop Jerome Listecki articulated three top priorities: Evangelization, Catholic Identity, and Stewardship. In his vision for the Church, evangelization is what we do, Catholic identity is who we are, and stewardship is how we do it. These three priorities came into sharp focus recently as the Archdiocese dedicated itself to several new specific evangelization initiatives. This past May of 2012, the Archdiocese organized an “Evangelization Summit,” inviting parish representatives from throughout the Archdiocese to participate. This Saturday morning event included an opening Mass, keynote presentations by Archbishop Listecki and Auxiliary Bishop, Donald Hying, and a small group process for sharing ideas, naming best practices, and identifying resources. Parish representatives were charged with the mission of returning home to recruit members for the formation of a parish evangelization team. The Evangelization Summit also served as the occasion for announcing the newly created “Office of Evangelization,” and its full-time Director. The office is dedicated to promoting the Church’s call to a New Evangelization by providing vision and formation for parish leaders, coordinating archdiocesan evangelization initiatives, and assisting parishes in new and creative efforts for revitalizing people’s faith, energizing parish communities, and reaching out to those who are no longer active Catholics. (For more information, you can visit: https://www.johnpaul2center.org/Evangelization.htm). Building on the momentum of the Evangelization Summit, the Archdiocese will sponsor two important initiatives in the fall. For the fall clergy gathering on September 13, the Archdiocese has invited the President of Paulist Evangelization Ministries, Fr. Frank DeSiano, CSP, to speak to the priests. He will highlight the important role the priests play in creating a culture of evangelization in the parish, and equip them with the skills for working in tandem with evangelization teams to integrate evangelization into the fabric of the parish. In October and November, the Archdiocese is offering evangelization team training sessions in six different locations throughout the Archdiocese. These trainings are designed to assist the newly formed parish evangelization teams. Key topics to be included in the trainings are: the foundation and meaning of Catholic evangelization, understanding the evangelization cycle and its related evangelization strategies, the structure and mission of parish evangelization teams, and resources for ongoing evangelization team formation. In Lent of 2013, the Sacrament of Reconciliation is being connected to a campaign inviting inactive and fallen away Catholics to come home to the mercy of God. Through these, and many future initiatives, the Archdiocese of Milwaukee is making a new commitment to the New Evangelization. 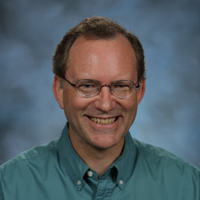 Rich Harter, M.T.S., is the Director of the Office of Evangelization for the Archdiocese of Milwaukee. He has spent the last 32 years working as a full-time Lay Ecclesial Minister in a variety of ministerial settings. Rich holds theology degrees from St. John’s University, Collegeville, MN and St. Francis Seminary, Milwaukee, WI.